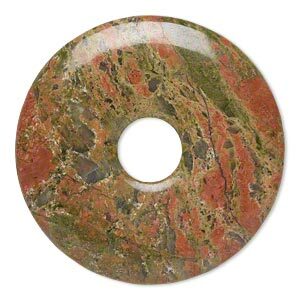 Focal, rhodonite (natural), 50mm round donut, B grade, Mohs hardness 5-1/2 to 6-1/2. Sold individually. 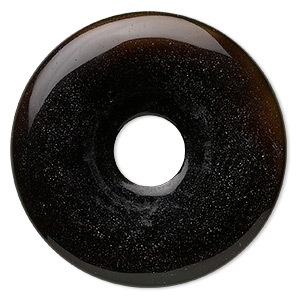 Item Number: H20-9880NB Have a question about this item? 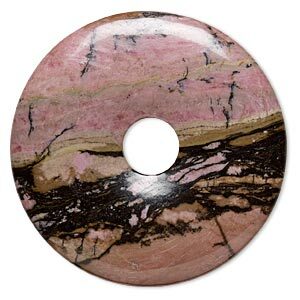 Draw the eye to jewelry designs using a striking rhodonite focal component with bold patterns and full color. 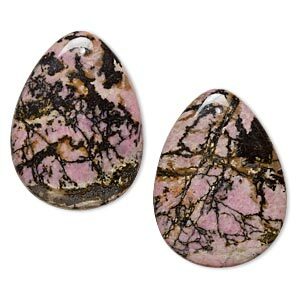 Rhodonite (Greek for "rose") is a pink stone with varying black dendritic inclusions. 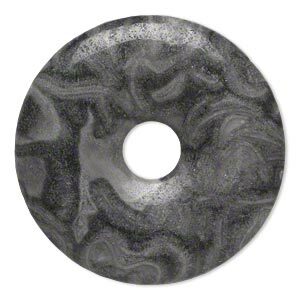 Focal is machine-cut for consistency. 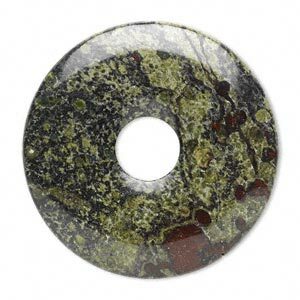 Focal, dragon blood jasper (natural), 50mm round donut, B grade, Mohs hardness 6-1/2 to 7. Sold individually. 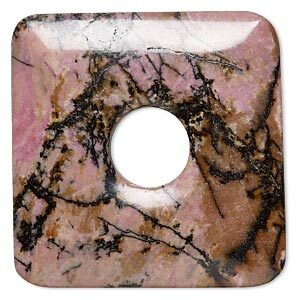 Focal, rhodonite (natural), 50x50mm square donut, B grade, Mohs hardness 5-1/2 to 6-1/2. Sold individually. 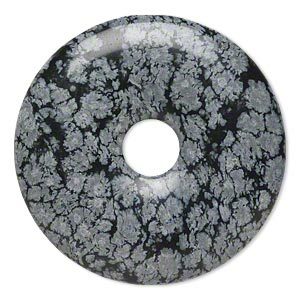 Focal, snowflake obsidian (natural), 40mm hand-cut round donut, B grade, Mohs hardness 5 to 5-1/2. 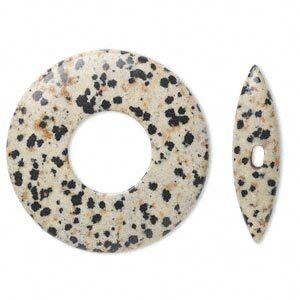 Sold individually. 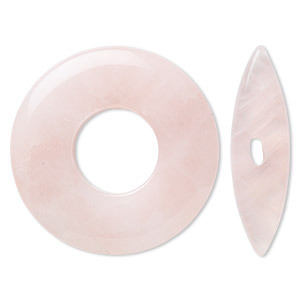 Focal, rhodonite (natural), 40x30mm flat teardrop, B grade, Mohs hardness 5-1/2 to 6-1/2. 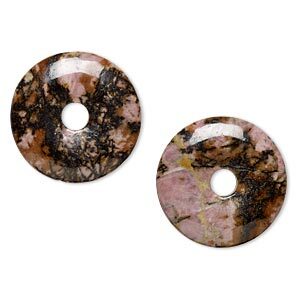 Sold per pkg of 2.